Description CARFAX 1-Owner, Hubler Q Certified, LOCATED IN SHELBYVILLE! CALL TODAY 317-392-4101, ONLY 16,849 Miles! LT trim. PRICE DROP FROM $17,995, $900 below NADA Retail!, EPA 38 MPG Hwy/29 MPG City! 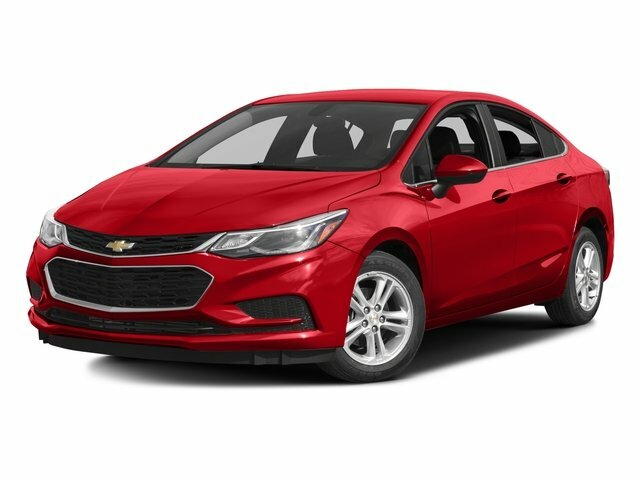 Back-Up Camera, Turbo, Satellite Radio, WiFi Hotspot, iPod/MP3 Input, Alloy Wheels, KEYLESS OPEN, CONVENIENCE PACKAGE, AUDIO SYSTEM, CHEVROLET MYLINK RADIO.. CLICK NOW! Back-Up Camera, Satellite Radio, iPod/MP3 Input, WiFi Hotspot. Rear Spoiler, MP3 Player, Onboard Communications System, Aluminum Wheels, Steering Wheel Controls. CONVENIENCE PACKAGE includes (ATH) Keyless Open, (BTM) Keyless Start, (KA1) heated driver and front passenger seats and (AH5) driver 8-way power seat adjuster, and (BTV) remote vehicle starter system [with automatic transmission only]; deletes (KTF) primary foldable key, ENGINE, 1.4L TURBO DOHC 4-CYLINDER DI with Continuous Variable Valve Timing (CVVT) (153 hp [114.08 kW] @ 5600 rpm, 177 lb-ft of torque [239 N-m] @ 2000-4000 rpm) (STD), TRANSMISSION, 6-SPEED AUTOMATIC (STD), KEYLESS OPEN, AUDIO SYSTEM, CHEVROLET MYLINK RADIO WITH 7" DIAGONAL COLOR TOUCH-SCREEN AM/FM stereo with seek-and-scan and digital clock, includes Bluetooth streaming audio for music and select phones; featuring Android Auto and Apple CarPlay capability for compatible phone (STD). Must have fewer than 100,000 miles or be less than nine years old. Passed our 128-point vehicle inspection for safety and reliability. Clean title and includes a free CARFAX Vehicle History Report. Hubler Certified vehicles provide peace of mind with a 2 year/100,000 mile warranty. Powertrain coverage. One-year membership for the Road America "Auto Assist" Program.